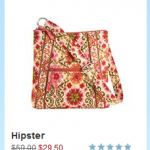 You are here: Home / online shopping / Vera Bradley Hipster on sale for $29! 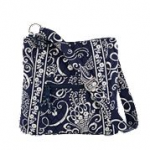 I’m a huge Vera Bradley fan and the Hipster is one of my FAVORITE purses! Today only, you can get it for just $29! It retails for $60, so this is better than 50% off! They’ve got 23 different colors to choose from! Make sure you check out the sale section for even more great deals! A classic shape takes on true Hipster character with layers of multi-textured quilting. Adjustable shoulder strap and front slip pocket make functionality fun. The Hipster’s slim shape keeps a low profile. Vera Bradley BOGO FREE sale! 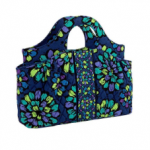 Vera Bradley 40% off sale! 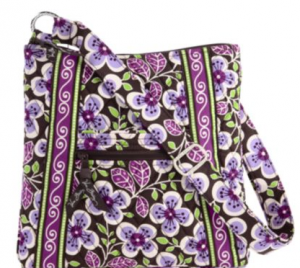 Vera Bradley Winter Sale: Hipster for $29.99 plus 50% off sale items! 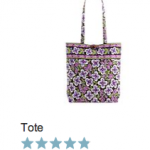 Vera Bradley Online Outlet Sale: prices start at $9.99!